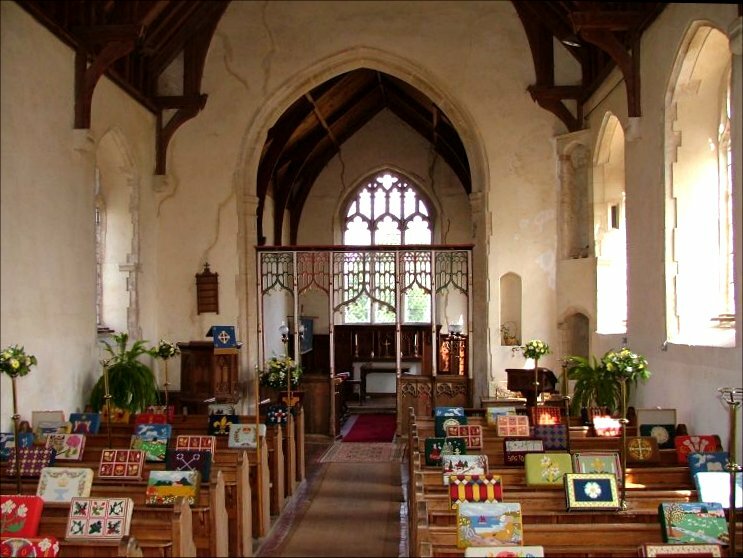 This crisp, pleasing building sits a good mile away from its busy village, with only the former Hall for company. 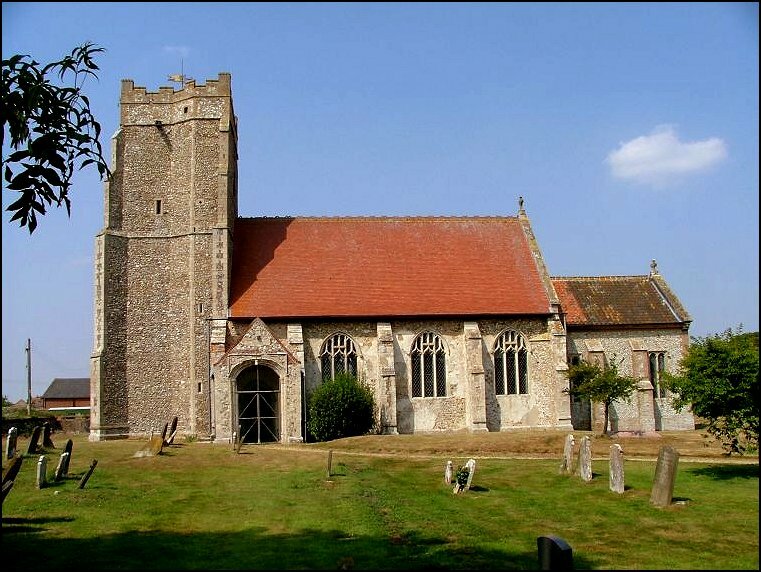 It isn't quite out in the wilds, because the busy Beeston to Gressenhall road runs nearby, and there is a fairly large commercial farm beside it, but the setting is grand, if a little austere. It probably looked better before the lawnmower enthusiasts carted the old gravestones away. Unusually for this part of Norfolk, Longham has a very welcoming keyholder notice which virtually implores you to go off to the village and seek the key. While you are there, you could do worse than visit the White Horse, which seems to be a favourite pub of so many people. Coming back suitably refreshed, you'll notice that the tower is a curious shape. This isn't just an effect of the Greene King, but because the top stage was removed as unsafe in the 18th century, and there is a very wide wall buttress to the east. 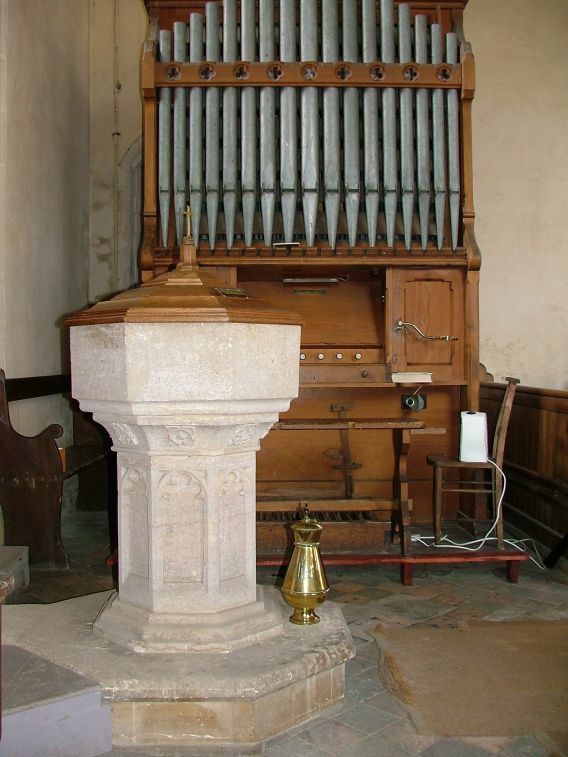 This creates a sense of squatness which is not unpleasing, especially as a jolly counterbalance to the severely straight-faced chancel of the 1860s. The brick and flint looks as if it was the product of a computer simulation, it is so regular. 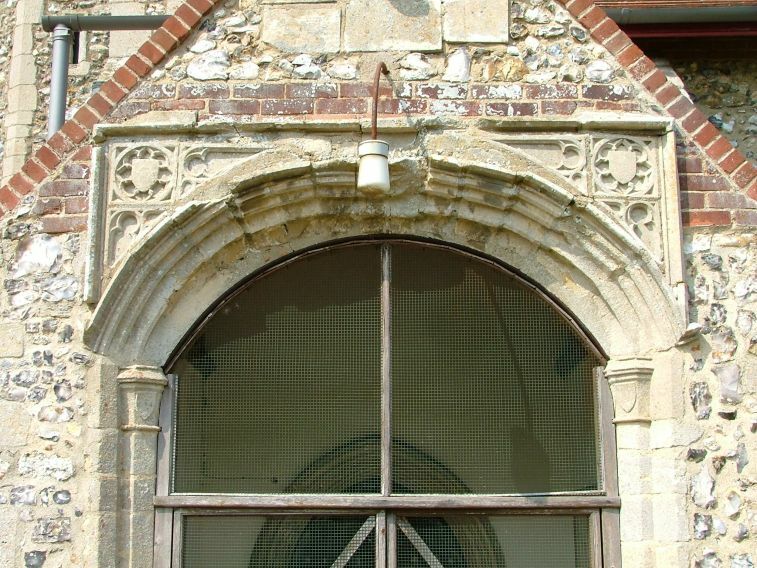 I'm not sure who the architect was, but I am sure that he could not have been responsible for the porch, which is pleasingly ramshackle and looks as if it is made up of masonry from several different sources. 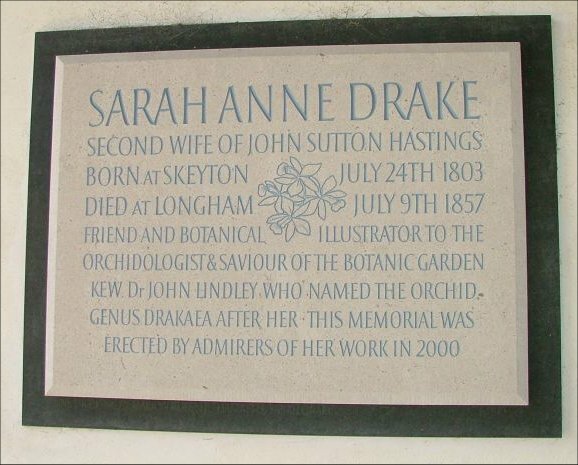 A memorial stone in the entrance remembers the botanical artist Sarah Drake. 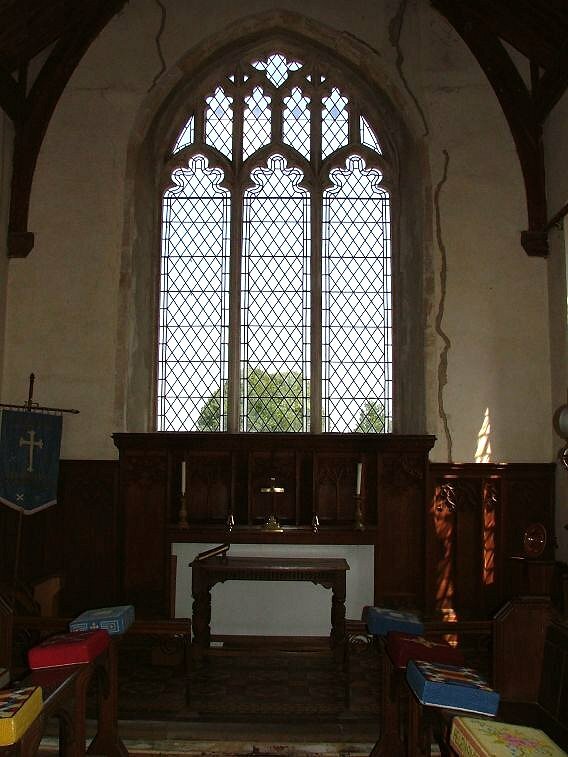 Mortlock describes the interior as modest, which is about right. 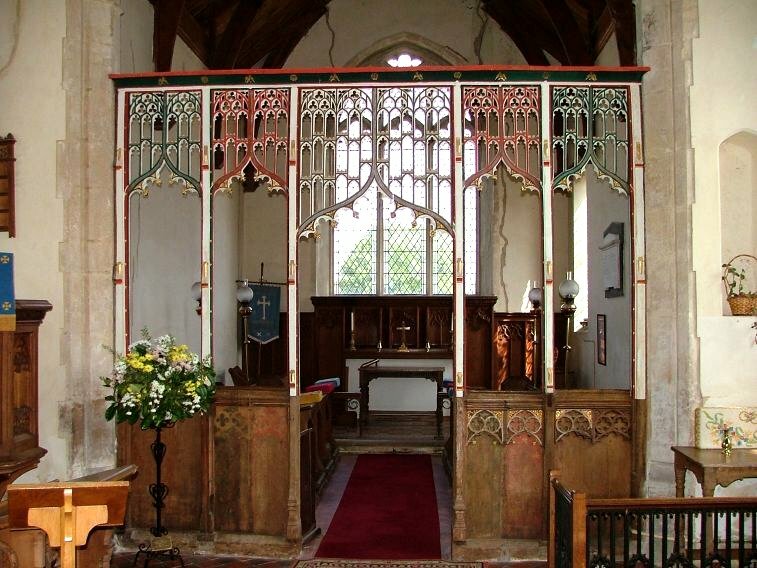 It is not without character; the screen is very pretty, and if the paintwork is almost entirely modern it is still done very well. 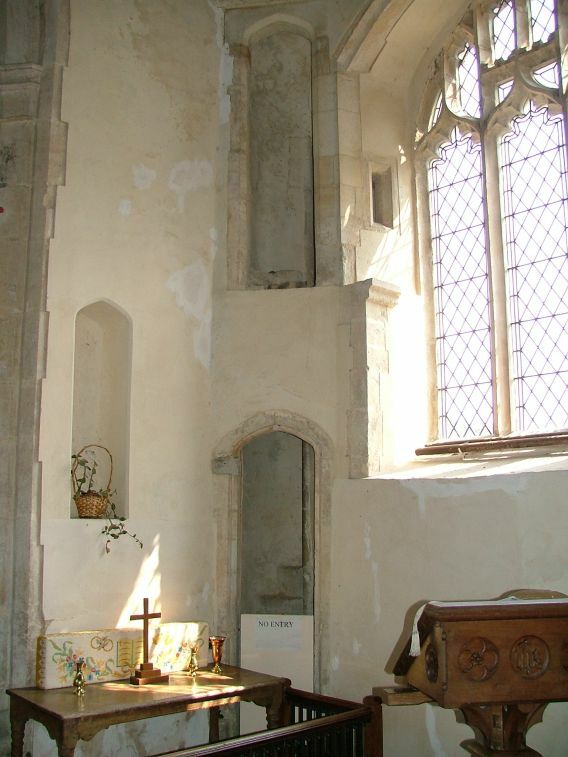 The rood loft stairs are cut into the south wall in an interesting way, built up to form the window enbrasure with a light that lets out into the splay. 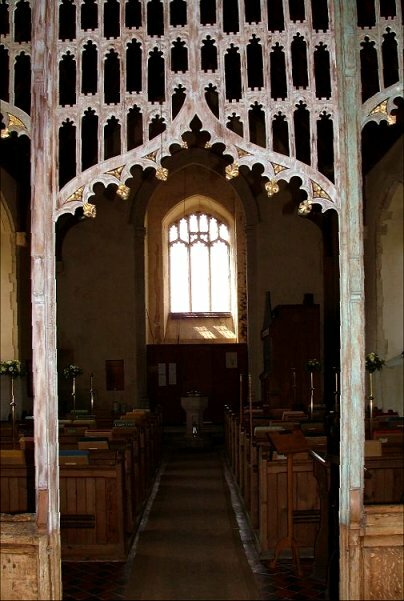 There's a large image niche in the east wall of the nave beside it. 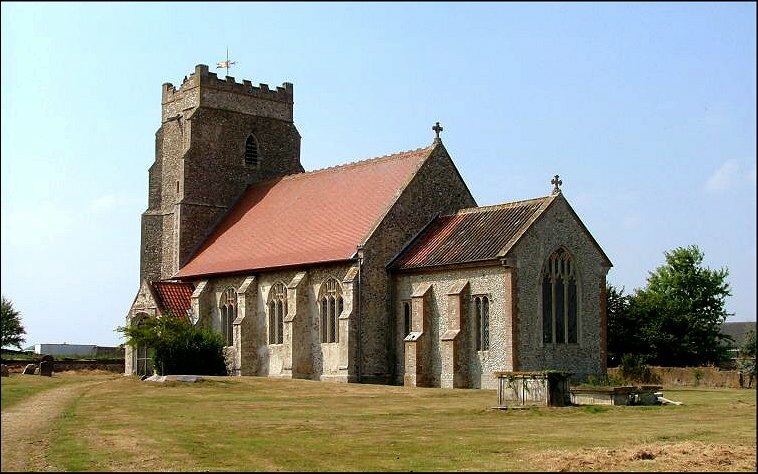 This was my 600th Norfolk church. 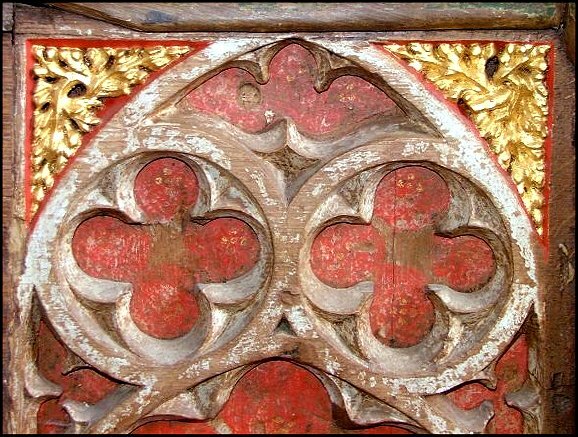 Chris Harrison, who was with me, suggested that somewhere grander might have been more fitting, but I liked the way that St Peter was just another church, modest and yet purposeful.